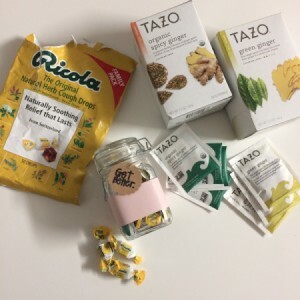 Fill a jar with cough drops and herbal teas to make a nice gift for a friend with a cold. 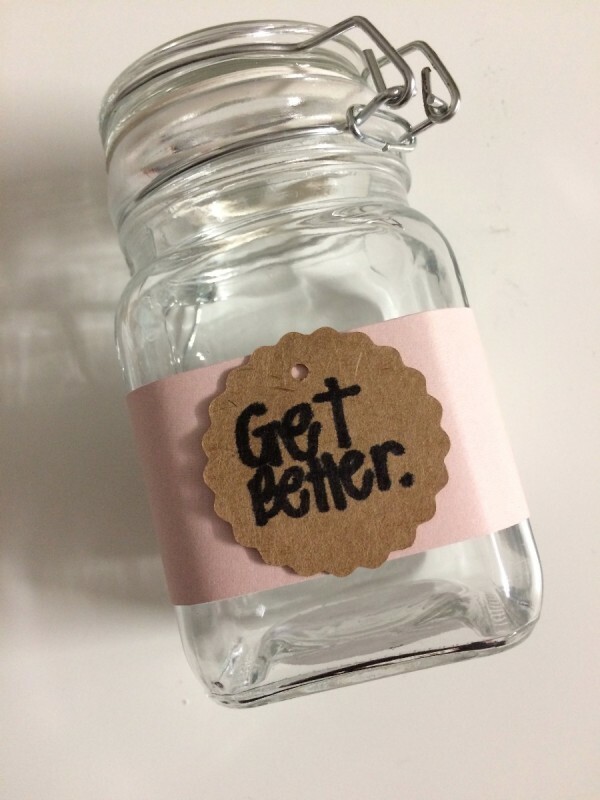 This is a guide about making a get better gift jar. 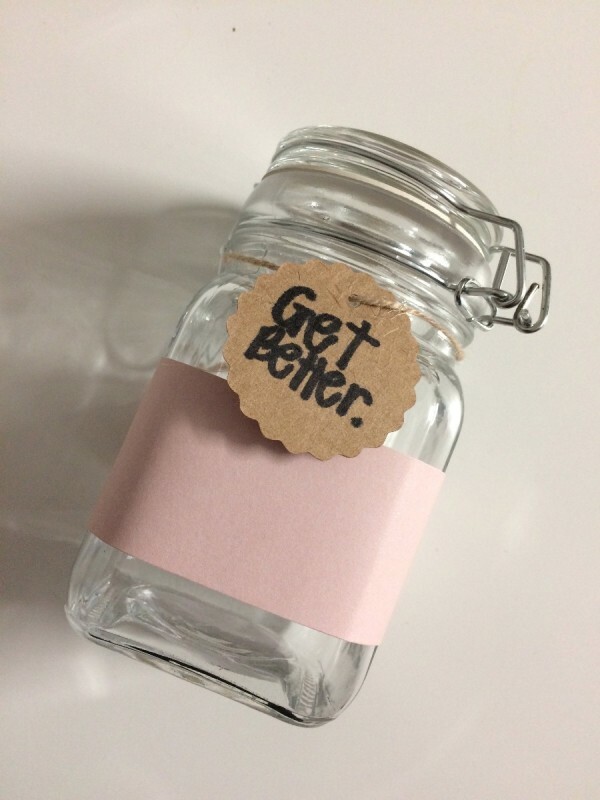 This cute and thoughtful "Get Better" jar that will also be practical for the recipient afterwards. 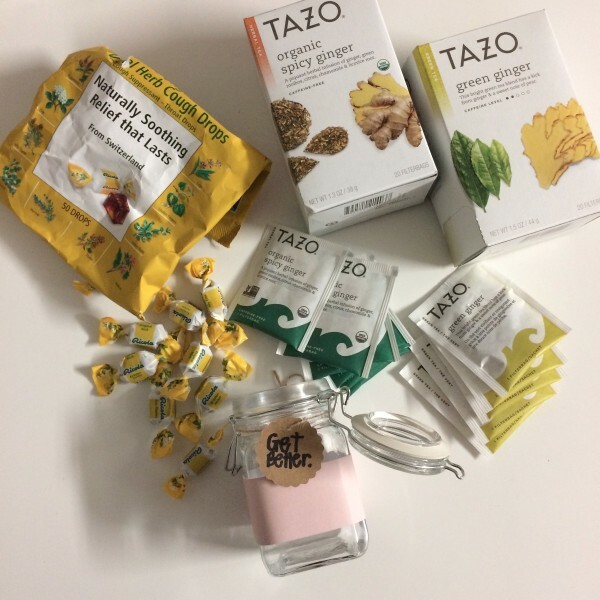 The jar can be reused. 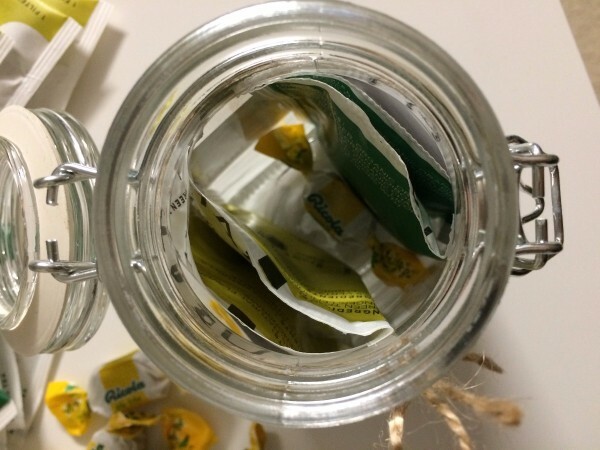 Find a jar suitable to fit some tea bags and cough drops. 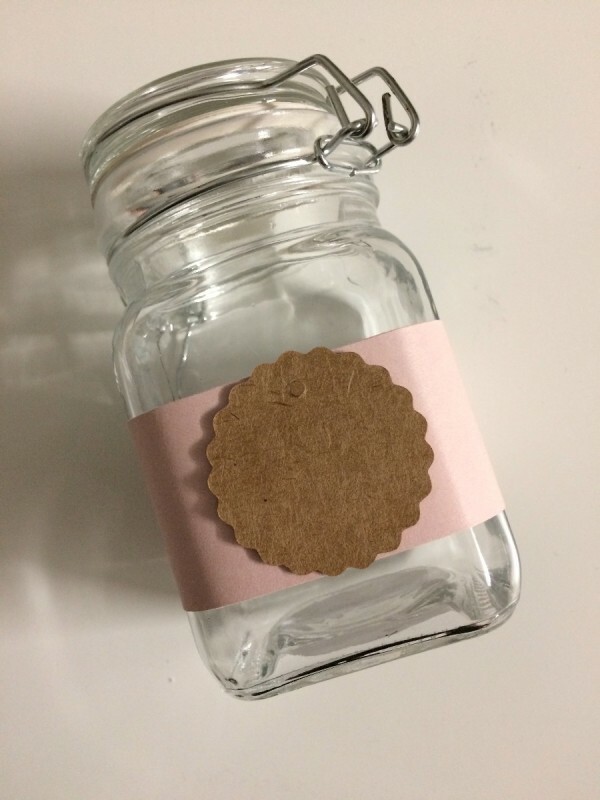 I found these swing top jars at my craft store for only $1 & $2. 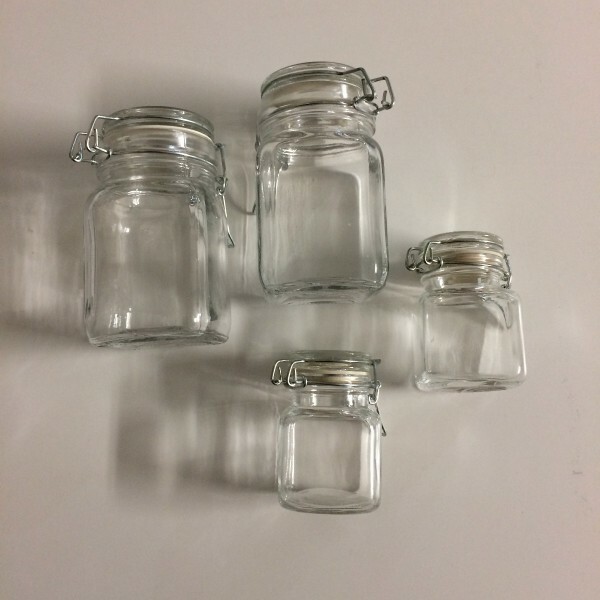 You could reuse jars you may already have also. 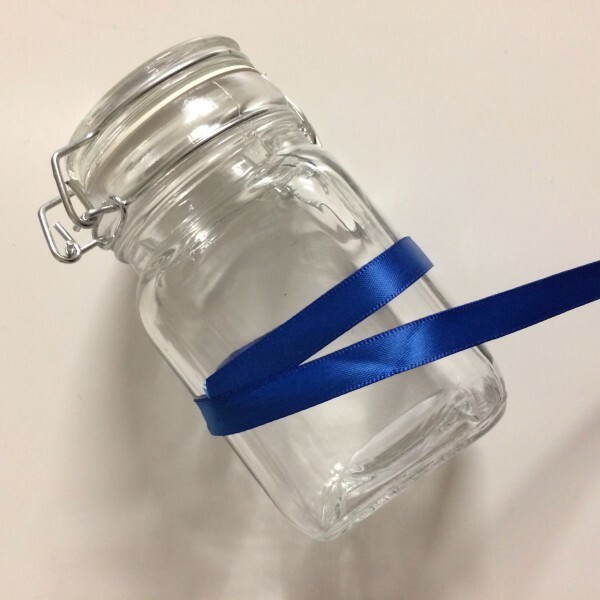 Measure the circumference of the jar with a ribbon to get an idea of how long of a paper strip you will need. 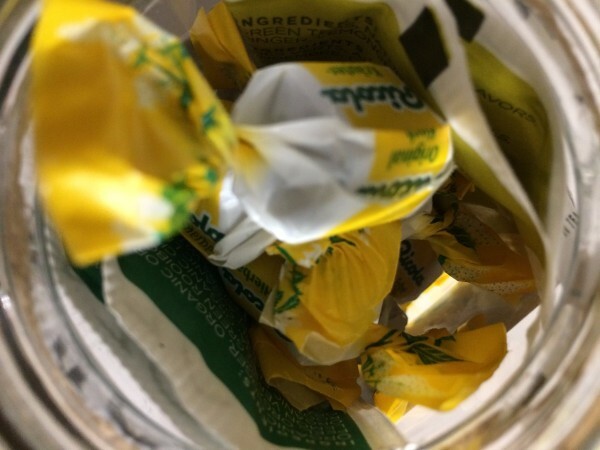 Plus, add an extra inch to have enough room to tape the paper. 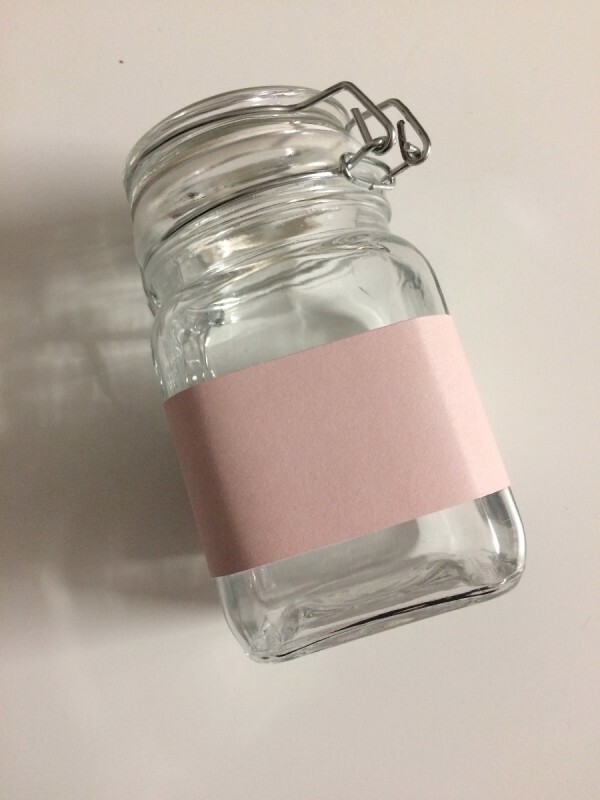 Glue paper around the jar. I had a scallop circle tag, but you can cut out a heart, circle, square, any shape you want in lieu. 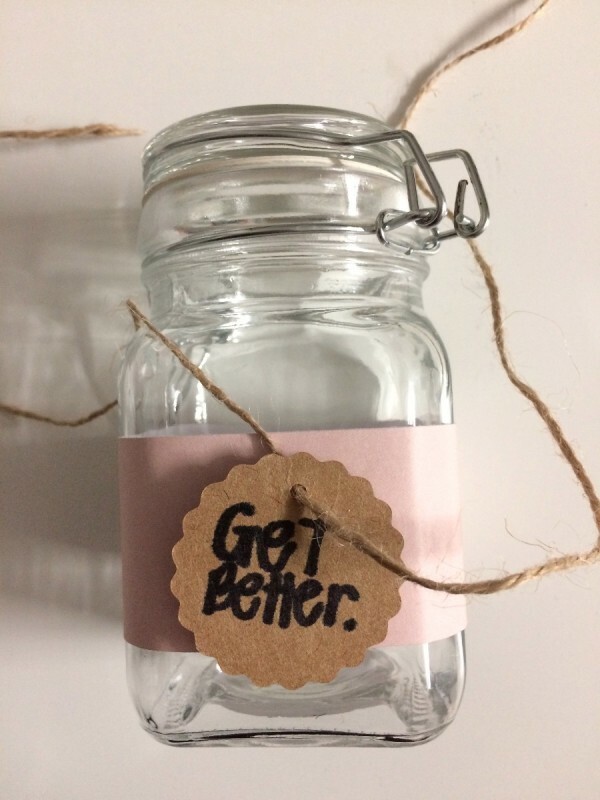 I used a Sharpie and wrote "Get Better". You can glue down the scallop circle on the pink paper, but I had twine so I strung the twine in the tag and tied a bow. Open the jar and add the tea bags and cough drops.